In our previous blog, we highlighted why Accelerated Mobile Pages (AMP) are the best way to deliver content: lightning-fast load times, improved search results (SERPs) and mobile-first indexing from the AMP label that appears in search results. End users are no longer willing to wait for slow pages to load and will abandon your site if the content is not served quickly. AMP pages render 15% to 85% faster than traditional HTML versions, leading to a rich consumer experience, better engagement, and conversion. Studies have shown that even a one second delay in page response results in 7% fewer conversions. With most web traffic coming from mobile, the ideal solution is to marry the ease of discovery of search, with the high usage of the native app experience. Progressive Web App (PWA) is the answer, giving users a native app-like experience and downloadable content. PWA makes mobile experiences engaging and supports commercial monetization opportunities for businesses. With PWA, users can fully access previously visited pages while offline. Businesses can also send intent-driven notifications and marketing messages to encourage consumer action by leveraging Progressive Web App technology. While PWA provides significant benefits in interactivity and portability, there are drawbacks. Mainly, the first touch can be slow – since users have to access hosted content. As we saw earlier, because milliseconds matter on mobile, a slow start means user abandonment before PWA even has a chance to provide a benefit. Even when a user leverages a locally cached site through PWA, having to update some content can cause occasional slowness of the experience as the mobile device connects to the web to update parts of content. This inconsistent experience can lower consumer satisfaction. AMP pages are ultra-portable, embeddable content units that load instantly. AMPs are pre-fetched and pre-rendered, guaranteeing that a user’s first touch is quick. AMP helps to deliver fast-loading pages with ease, boosting the mobile experience. The ideal solution combines the high-speed and online nature of AMP pages with the downloadability and interactivity of PWA. 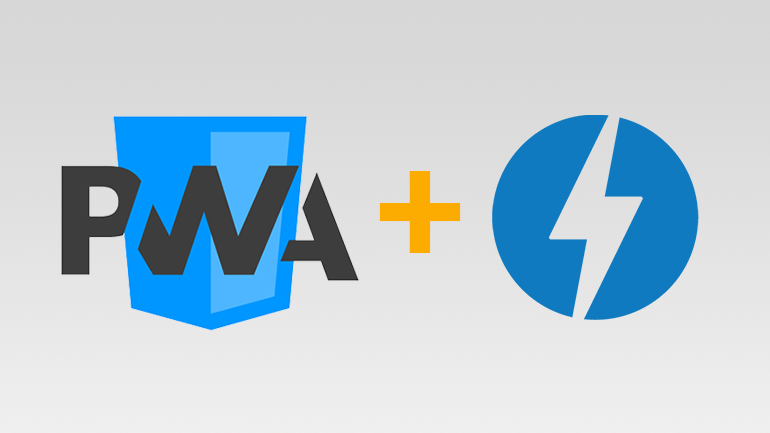 If you want to learn more about AMP, PWA or PWA + AMP and how you can leverage these technologies, contact Milestone at [email protected].